Digital marketing has been evolving constantly and so are the measurement tools that support newer campaigns for marketers. These tools are becoming more precise and accountable when it comes to tracking consumer behavior. One of the most powerful analytics tools available for marketers is Google Analytics, which tracks and reports site and app analytics. Using the reports from Google Analytics, digital marketers can strengthen their game by improving the site and user experience, as well as ending up with more conversions. Google Analytics offers valuable data visualization tools, segmentation analysis, custom reports, easy report sharing, and integration option with other products like AdWords. As marketers need to up their game, so does Google by introducing fresh tools to its Analytics platform. 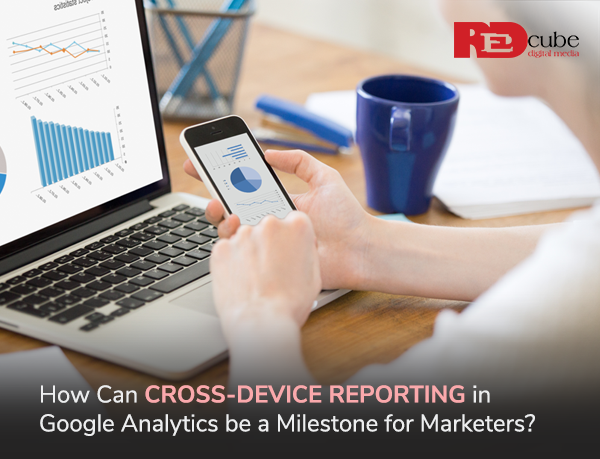 Let us explore one of these beneficial tools, the cross-device reporting. The Web analytics service, Google Analytics, provides great insights into the sources from where a brand is getting website traffic. Brand marketers can understand deeply about the audience and get insightful attribution data. However, it used to be limited to a single device. With the introduction of cross-device reporting in Google Analytics, marketers can now understand the user behavior on multiple devices. Cross-device data displays what is happening from the time of user contact through to their conversion into customers. As described above, the cross-device reporting brings together a complete picture of consumer behavior to the brand marketers. These reports include collated and organized data across multiple devices, including the desktop, mobile, and tablet. It takes into account those users who visit a site several times using varied devices. There are many consumers who first perform research and later take a decision to buy a product. Example: An individual may want to explore different options to book a movie ticket. While they may perform initial research on their mobile, they may want to check a specific site on their tablet and may want to make the final booking from that site on their desktop. 1. Device Overlap: This type of cross-device report shows device overlap, meaning that a marketer can learn about the percentage of users who make use of one or more devices. A Venn diagram depicts such overlap in the report and it can be learned which device or device combination was used by an individual while engaging with a brand site. At a time, one can check this for three devices. Further, a marketer can perform an intensive analysis by applying advanced segmentation to the report. Better data visualization is possible because each segment (custom and default) shows through a different diagram. • Revenue from the originating device – It lets the marketer know whether they have made the revenue from the acquisition device of the user. • Revenue from other devices – It lets the marketer know whether they have made the revenue from another device of the user that was used after seeing the brand’s advertisement on the acquisition or other devices. o Only the User ID views give access to cross-device reports. o Cross-device reports are available for the date ranges that are shorter than 90 days. • Attribution: Before the introduction of cross-device reporting in Google Analytics, the digital marketers did not have an accurate way to conversion attribution or credit. The model that was being followed (last interaction attribution model), as the name suggests, attributed 100% of the conversion to the last device. The last device meant the one on which the user interacted with the brand website, be it for a purchase or resource download. However, with cross-device reporting, the marketers can get a cohesive knowledge of the journey of their consumers across multiple devices. This not only changes the attribution scenario for them but it also helps them target their advertising on AdWords at the most used devices for conversion. • Device-based advertising: There have been several predictions and studies on consumer behavior and the latest technological trends. In fact, businesses and marketers were quite encouraged by the Mobile First approach offered by Eric Schmidt of Google. As per comScore’s recent Digital Future in Focus report, consumers in some countries like Mexico, Indonesia, and India have over five times Smartphone users as compared to desktop users. The comScore report also covers nine global markets where it indicates that the mobile dominates the desktop by more than two times in terms of minute consumption. 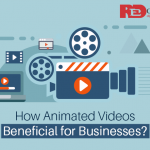 These and similar reported statistics build up a strong picture for marketers. 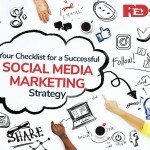 However, the exact scenario may differ in the case of every brand and its target audience. Using cross-device reports, digital marketers can understand the device dominance among their consumers and spend their limited advertising budget wisely on the targeted devices. • User engagement and conversion: The cross-device reporting tool is very useful to track the device or combination of devices that engage consumers with brand websites. Marketers can easily segment by device type and compare revenue and conversion. For instance, in some cases, the users using both mobile and desktop may be converting more than the users using only one device. In such a case, advertising can equally target both the devices. 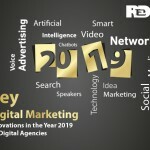 While the above-mentioned comScore report indicates towards mobile dominance and the Flurry report shows that the mobile use is increasing by around 6% year-on-year in specific industries like e-commerce, there are some other reports like Adobe Digital Index that show a higher number of visits on the desktop in almost all industries. If marketers can verify these results against the insights from cross-device reports on Google Analytics, they can design responsive websites and provide a better user experience on preferred devices. • Targeted marketing campaigns: The cross-device reports can be easily used with several other reports that Google Analytics generates. For example, the User ID Coverage report for audience behavior displays the percentage of sessions having logged-in users’ activity. As this is different from the behavior of non-logged-in users, the marketers can design different campaigns for both the groups or create campaigns to cross-sell them. They can use the cross-device reports to add to their judgment, as these reports help them connect the activities from multiple sessions and data from multiple devices. 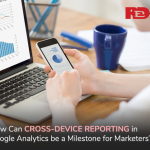 Cross-device reporting in Google Analytics opens many possibilities of understanding the behavior of consumers of a brand and doing personalized advertising for each user segment. 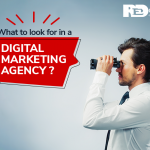 It is a smart feature that helps digital marketers in reaching the right customers. Based on user activity on varied devices, the marketers can offer them relevant, beneficial experiences. Segmenting the audience and rewarding them can build a loyal customer base for a brand. The cross-device reports are a source of information on a user’s journey through devices. Based on how many visits a user gives to a brand’s website across devices, the marketers can develop and mend their remarketing campaigns. They can also assess the consumer’s total conversion value from different devices, which was not possible previously when the separate sessions of a user on separate devices used to be tracked separately. The cross-device reporting has arrived as an exciting way to optimize a brand’s ad expenditure, as well as to deliver extremely relevant ads to the audience based on their cross-device usage. Cross-device reports can be transformative for the marketers who always want to focus their efforts and valuable resources on the most promising of customers. Being thoughtful about this tool can shape a brand remarkably.